This Pedi-Stool puts you at just the right height to create perfect pedicures. The firm back keeps your spine in proper form and the padded seat cushion gives you comfort for the duration of the appointment. The five wheels make it easy to scoot closer to your client or to slide around the salon. 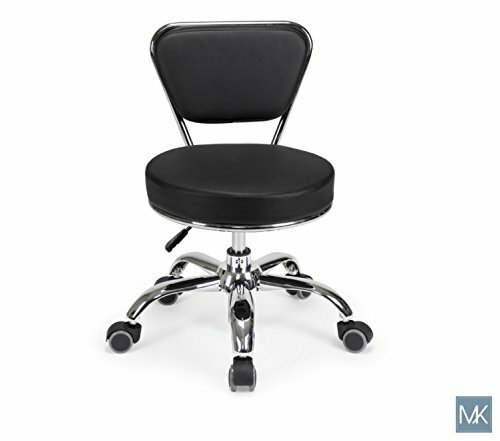 The polished chrome frame and sleek design will fit in any chic salon, and the acetone-resistant vinyl cushions will prevent spills or drips from ruining your stools.